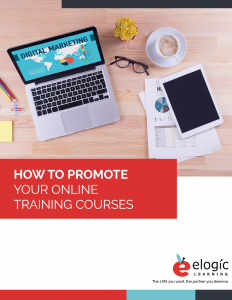 Picture this: you’ve got a great course, the ecommerce functionality within your LMS to sell it, but now the question becomes, how do you promote your online training courses to those who would buy it? One of the first things you should do is to create an SEO-optimized landing page on your website. 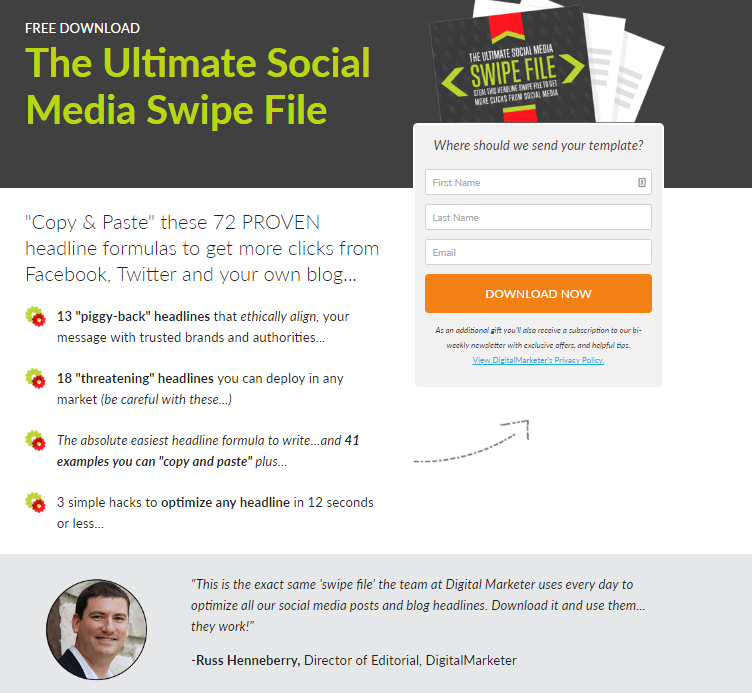 This landing page will act as your go-to place to send all your digital traffic. On this page, prospective buyers will want to find out more information on what course(s) you’re offering as well as why they should buy them from YOU as opposed to someone else. The best landing pages include the following: a strong headline that tells the reader exactly what your course is, a subheadline that explains what the reader will get out of the course, 3-5 bullet points that specifically describe the pain points your training course helps solve for the buyer, an image, the sign-up or opt-in form/button, and social proof in the form of a client or executive testimonial. Throughout the various pieces of your landing page, be sure to include keywords and phrases your target buyer would be searching for related to your course. Don’t have the time or know-how to build a landing page? LeadPages is a great tool that makes building them a breeze. A great next step would be to write a blog post on something related to your online training course. Keep in mind that you don’t want to give away everything, but touch on one small piece of related material and expand on it in a blog post. While you’re writing your post, be sure to include a link to your training course’s landing page. You’ll also want to share away on social media! On the other hand, instead of driving traffic from your blog post directly to your course’s landing page, you could include a download link to a free resource with an upsell opportunity to your course. This free resource doesn’t have to be a completely new piece of content but could simply be a downloadable PDF of the blog post you just wrote. Other free resource options include checklists, guides/reports, tool kit or resource lists, and cheat sheets. The point of a free resource is to establish your subject matter credibility for the reader. After all, who wants to buy something from someone they know little to nothing about? While creating your free resource, be sure to place an upsell offer to your course somewhere in the material. This upsell offer would be a short description of the course and link to the landing page where they can buy it. Social media has become a staple in the digital marketing world. It’s a wonderful platform that allows you to broaden the reach of your marketing efforts. Through social media you would want to share the link to your blog post as well as the link to your online course’s landing page. Be sure to stagger these postings as you don’t want to use your social profiles exclusively for self-promotion. And why not take advantage of the additional pieces of social media real estate available to you such as Facebook’s timeline cover photo and CTA button, Twitter header picture, and Instagram bio link, etc. Just create a graphic showcasing the course using a free tool like Canva, upload, and link! If you have an email marketing client (think MailChimp, HubSpot, etc.) then chances are you have a database of contacts built up. These may be past clients, current clients or those who have interacted with your business in some way, but the biggest benefit is that these contacts are prime candidates for becoming potential buyers as they already know who you are! Using your email marketing client, send out an email highlighting your new training course and all the benefits your contacts could gain from buying and completing the course. You could even sweeten the deal by including a discount code. Many LMSs, such as eSSential, have the ability to create and track these codes for you. Lastly, don’t disregard the power of online advertising. For some, this may be more of a high-level and time-intensive approach to digital marketing as you’ll want to do some research prior to creating any digital ads. The various paid ad platforms include anything from social media (Facebook, Twitter, Instagram, LinkedIn and so on), Google AdWords, digital newspaper ads, search engine display ads, and more. Online ads aren’t a good fit for everyone, but if you have the time to learn how these different digital ads work and their best practices, then the payoff can be more than worth the investment of time on the frontend. Digital marketing plays a pivotal role in expanding the reach of your marketing efforts. However, before you begin to promote your online training courses, take a moment and evaluate which make the most sense for your particular goals and available resources. Make sure to track and measure your results in order to see which yielded the best ROI. Are there any other ways you would recommend to promote your online training courses? Get this blog in an easy-to-print checklist so that you don’t miss any steps with all your content.